When two people talk about something they assume there is something to talk about and that they have the necessary means (reason, language, shared experience etc) to talk about it. It does not strike us as odd that this is possible; we take it for granted. Friedrich Nietzsche, on the other hand, did not. Nietzsche famously describes a scene in which a madman proclaims the death of God. And if God is dead, says Nietzsche, we can no longer assume that what we are talking about makes any sense at all. Why? because if there is no ultimate explanation for everything, there is no explanation for anything. And if there is no explanation, talk cannot get anywhere. 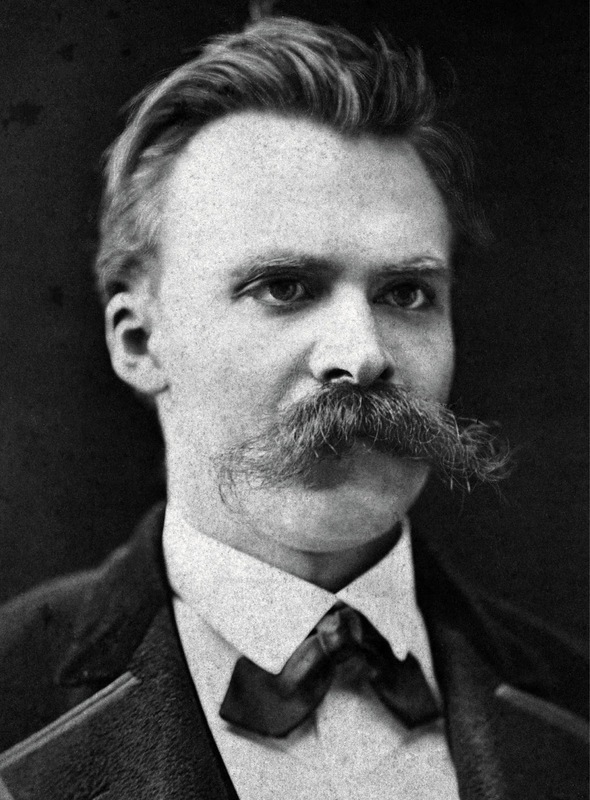 If God is dead, Nietzsche says, we are all madmen. Should we go home and forget about it? No. What we can do instead, argues Nietzsche, is construct sense, create our own world for our own purposes. It is madness, yes, but if God is dead, it is our only option. Whatever one thinks of Nietzsche, one must give him credit for consistency. If there is no ultimate sense, there can be no sense at all - if there is no God, there can be no sense. One implication from Nietzsche is in how we talk about God. Often God is one of the topics of conversation. If you and I went for a coffee, God would almost certainly come up in conversation; he would be one "thing" to talk about. But what if God is not some "thing" to be talked about, but the very precondition for talking? What if, as Nietzsche seems to suggest, that without God, talk has no sense and what we are talking about has no ultimate explanation, no meaning? The above way of reading Nietzsche is found in Ian Markham's book, Truth and the Reality of God. You can read my review here . First posted in July, 2007.